For as long as I’ve practiced parkour I’ve had an obsession with numbers. 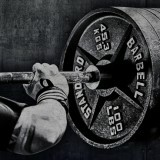 I’ve kept track of my own statistics: height, weight, a multitude of basic jumps, squat, deadlift, kong, wall-run, dyno, etc. It’s a love hate relationship because the numbers don’t always get you what you want. Nothing expressed that more to me than when I began organizing competitions. One of the very first Skill Competitions we ran at Origins consisted of singular fundamental movements like a precision jump, a kong-pre, and a dyno. Competitors were scored on how much output they could get out of these movements, and because we were measuring output we wanted to have very basic set ups so that the format could be easily repeated, and equipment could be moved to increase or decrease distances. It seemed like a great thing to put in a competition at the time. It would be intuitive for audiences to understand, and easy to repeat. The most powerful athletes would win – but that was the problem. These “skill” challenges awarded the most powerful competitors, but not necessarily those with the most parkour skill. 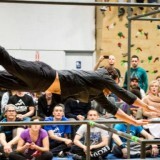 As a competition format this didn’t highlight the thousands of hours that athletes put into sticking rail precisions, calibrating run ups, cutting angles, and dealing with all of the structural and environmental constraints that make parkour what it is. Thus we evolved the format, and now the Skill events in the NAPC, and many other competition formats involve skill challenges that accurately reflect the parkour culture. “Power is nothing without control” and yet we still need it to complete challenges. What if a gap is physically too far for someone to jump? It doesn’t matter what other preparation they build if they simply can’t jump it. For this reason coaches and practitioners should learn methods for developing general power output. In order to do that we need a plan, and a method of testing whether or not our plan is succeeding. From a test we get Numbers! Now numbers don’t lie, but results don’t always tell the whole story, and most certainly do not speak for themself. The most important part of the training process for athletes and coaches is to understand what causes adaptation. What do we accredit our success to, and what do we try to remove when we fail? This article should shed some light on some of the less obvious things. When my friend and colleague Tom Coppola moved to Vancouver he had a 8”6’ (259 cm) broad jump. He had been training back squats on his own and had plateaued at 200lbs (90kg), which was around 1.5 times his bodyweight. We started applying some high volume powerlifting protocols, and within half a year he brought his squat up to 275lbs (125 kg), which was twice his bodyweight. 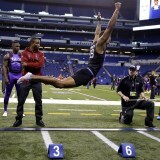 With this newly developed strength he was able to transfer it to a 9’6” (289 cm) broad jump. 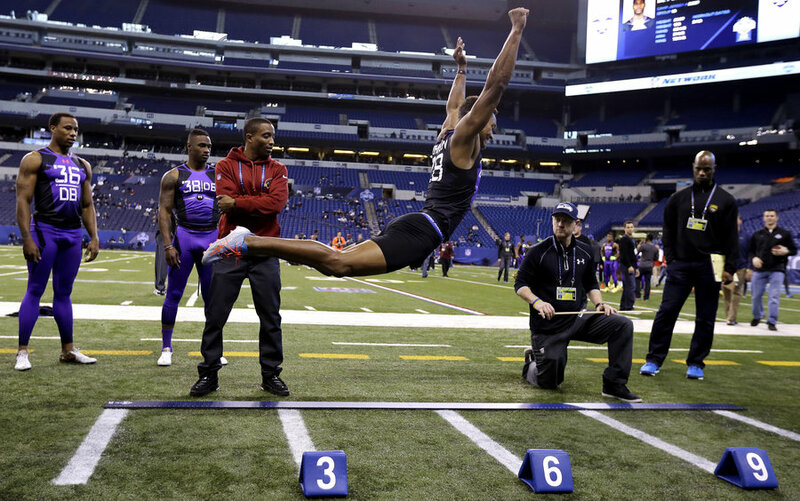 The powerlifting focused training was taxing, and couldn’t be maintained to continue to improve his squat, but with minimal lifting, continued focus on broad jumps and short-sprint training he improved to a 9’8” (294 cm) broad jump PB. All jumps were measured on the floor from in front of the toe on take off, and behind the heel on landing. Strength has a greater carryover to power produced through longer ground contact time (GCT). The shorter the GCT, the less general strength will transfer, because those movements will require more reactive ability. The GCT in a running take off is much shorter than the GCT in a standing broad jump. 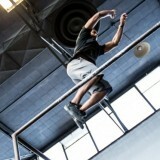 A parkour practitioner who practices max-effort precision jumps (or broad jumps) is essentially lifting their body weight with as much speed and force as possible. Optimal time for adaptation can absolutely see this person improve their broad jump distance. The limiting factor for continued improvement is load; the person weighs what they weigh. 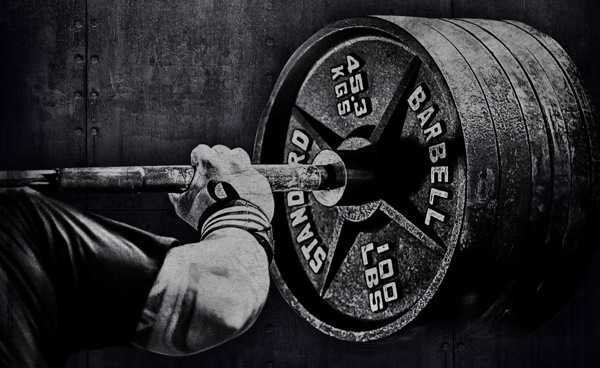 The load of a barbell can be progressively increased as adaptation to the load is realized. In other words, you can squat a given amount of weight, and the weight can be changed as your body gets stronger. We can improve strength more efficiently through barbell training, and when combined with maximal speed (jump training) we typically get better results compared to using only one method. Improving strength in an individual who has low strength will always improve jumping output, however it is not so clear cut for an individual who is already strong. For example, the stronger Tom became, the less he was able to strength train and still have energy for parkour training. If he was going to continue to get stronger he would have to prioritize his strength training. Therein lies the problem. An athlete possessing advanced strength can’t make gains as large or as quickly as when their strength was at a novice to intermediate level. It would take significant amounts of time and energy to make small gains in strength, and there is little evidence to suggest that the strength gains will continue to have positive effects on power output. So if Tom added another 20 pounds to his squat (a feat that could take half a year or more) he may not see any gains in his jumping ability. During that time he would be in a strength phase that would not allow him to fulfill high intensity parkour sessions, and from that we can only assume his technical ability would begin to diminish. Thus, if Tom continued to prioritize his squat training we can guarantee he would squat more weight, but there would be no positive effect on his broad jump (and parkour game). In fact his skills would likely be lowered. One of the most deceitful acts in sport and fitness is advertising improvements made by novices. Individuals who have little to no experience with a physical training program will always make improvements very quickly. The human body is very good at adapting to stress, however it’s ability to do so is finite. So someone who has not trained as much will adapt to the stresses of training, regardless of how absurd the volume, intensity, or type of work is being performed. As the same person becomes more experienced they will eventually reach a threshold where the same absurd training regimen no longer produces the results they were accustomed to. It doesn’t take a rocket science to take someone with little ability to intermediate or advanced ability. Designing a training plan beyond that requires much more scrutiny. Imagine a spectrum ranging from someone who has never jumped in their life all the way to an elite level broad jumper. In between the two we have a person who has trained for 3 months at the broad jump, someone who has trained for years, and every other amount of training imaginable. The person who has never jumped in their life can enter into a training session and most likely make improvements every session, if not every jump, whereas the world class jumper can expect to go through a whole year of hardship just to add an inch to their jump. The better you get, the less room you have for improvement, and the less often you will improve. For this reason it is crucial that an advanced athlete does not have the same training program as a beginner. Call me a skeptic, but I find that the most common case for inexplicable results is not actually having an accurate measurement of your personal best (PB). Not having a reliable test before using a method means not knowing if that method can produce results or not. In other words if you don’t actually really know how far you can do a broad jump, and you just guess or use your feet to measure, you will be unable to see actual incremental differences in your results. Remember that the better you are, the smaller the gains you are going to make, so it really makes sense to whip out the tape measurer and start measuring your tests properly. If the pre-test isn’t conducted with the exact same constraints as the post-test, then we can’t really claim the results are valid. Like any experiment, we want to control as many variables as possible to get accurate findings. Are we just training to test? 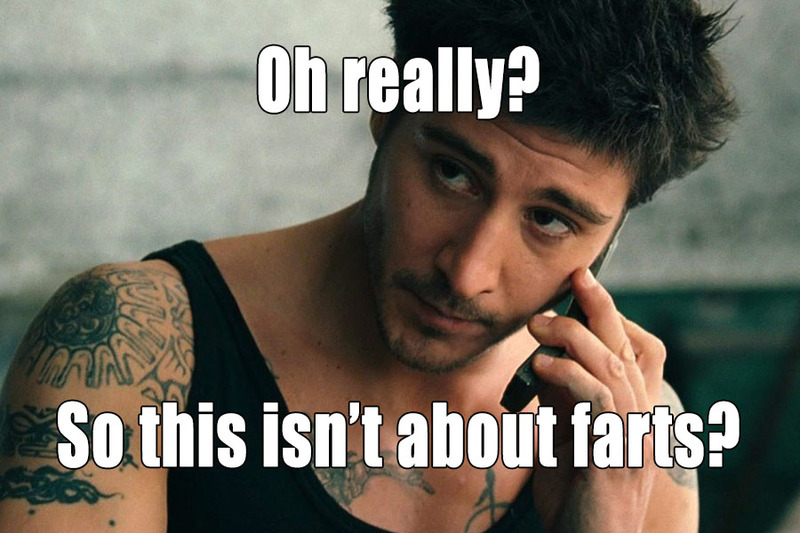 Or training to get better at parkour? If the goal is to justify the results of a program based on volume, type, and load of exercises, then skill improvement must be accounted for separately. If you change the way you jump during a final test or part way through a plan, you will be less able to assess if the plan itself was any good. If we want to test if a plan is effective or not, we need to get the best jump possible in the pre-test. We can avoid inconclusive findings by using a test that the athlete knows well. The best jump test is the simplest jump test. The more complex the test, the less we can determine if the athlete got more skillful at the test or if they got more powerful. No, they are not the same thing. Do not pre-test your own or your athlete’s power with an exercise they don’t have experience with. You will not be able to get an accurate read of their potential, and 100% of the time they will do better when they test again because of skill acquisition, not overall power development. Keep jump testing simple and familiar. If we are testing static power we can use a simple broad jump, or vertical jump. If we are testing reactive jumping, we can use multiple bilateral hops, or multiple unilateral hops. Mixing the two would be unnecessarily complex, and probably a test an athlete doesn’t have a lot of experience with. Once again, even though these sound simple, most parkour athletes do not have an accurate measurement of any of these jumps. If that’s the case, they probably aren’t very familiar with performing maximal effort jump tests (jumping without added variability in the take off and landing surface). Thus, we can assume that the athlete will score higher simply by repeating the test over time. Just like the novice, the athlete is almost guaranteed to improve, regardless of what kind of program they are on. This may be intuitive for some, but it needs to be considered, especially for athletes with higher outputs. There are so many things outside of training that can affect the performance of a jump. If we plan to have the best test possible we need to make sure we are setting ourselves up for success outside of training, and if we’re not setting ourselves up well we need to account for it in our findings. Your ability to peak is determined by your central nervous system (CNS). Your CNS does not know the difference between physical and emotional stress. For example, if you get into a big argument or a loved one leaves you, and you test your jump in the days to follow, you will likely test poorly. This is often commented on in sports as mental weakness, and is regarded as a taboo excuse, but emotions have very real effects on physical performance no matter how strong minded the athlete is. Time of day is also important for peaking. Your CNS isn’t as fired up in the morning as it is mid afternoon, so If one jump test is done on a morning and the jump re-test is done on an afternoon you can bet the afternoon test will have better results. I shouldn’t have to mention this, but sleep, illness, fatigue, and diet are all other things that can mess with your CNS recovery. Life happens. It’s up to you to make changes in your method(s) to account for it. As an athlete or a coach it’s your job to know what causes adaptation from the training process. General physical preparation, technique, stress management, repetition, and training age are just some of the considerations that must be made when analyzing results. The more you know about the training process, the more accurate your expectations will be. I hope this will be a helpful resource for athletes and coaches to better understand some of the factors that affect the results of training.